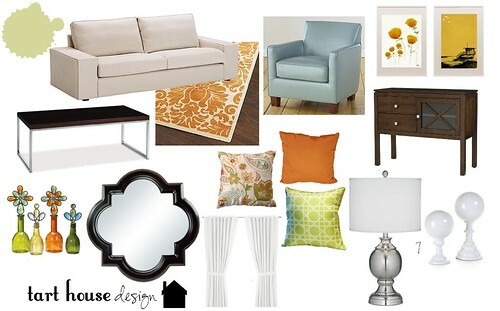 Back in July I did a room board for Joy's living room. Well recently she sent me the pictures of the results! She made a few changes, the blue chairs were out of stock - so I suggested chocolate brown leather club chairs. 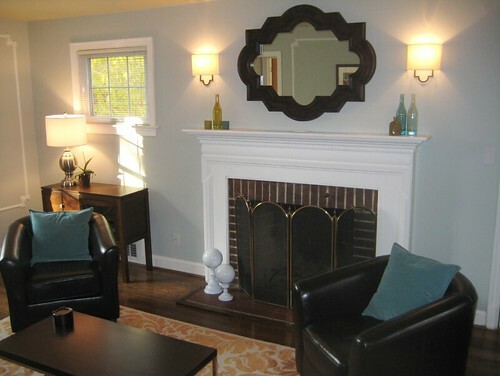 She also had planned on painting the adjoining room a blue-gray, which is why my suggested paint color was green. 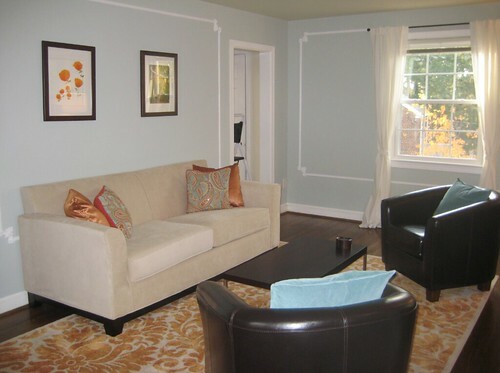 They changed their mind and decided to paint this room blue; she chose Benjamin Moore's "Quiet Moments". I think everything turned out beautiful! I hope everyone has a wonderful Thanksgiving, see you Monday! Thanks, Erica! You've been a godsend. 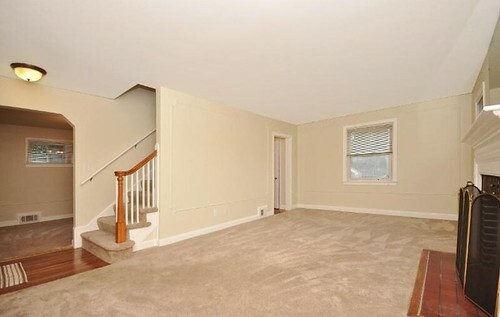 We had no idea where to start with a completely bare room and you were fantastic in helping us start from scratch. A million thanks! 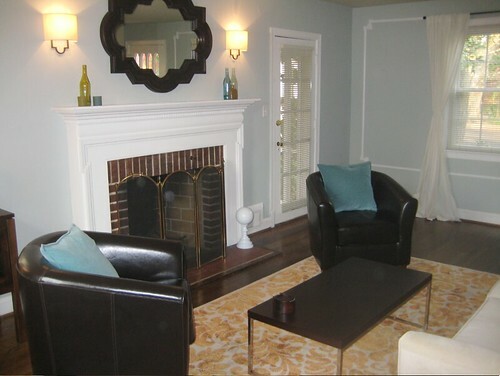 I am sure it is so rewarding to see rooms come together and your wise advice followed! I'm so glad she sent you pictures! So pretty, love those colors together. Hi Joy, Love what you did to your room! I've been on the search for some pillows just like the floral one that Erica suggested. Do you by any chance know where they are from? Ah, thanks so much! I will definitely check it out. Hope you had a great t-giving!